At Camera Centre we have Shetland’s largest selection of photo frames – perfect for any occasion. We have an exclusive range of frames covering many styles and finishes including Wood, Metal, Gold, Silver plated & Glass, ranging in small wallet right up to poster sizes. Clip frames are also available in sizes from 4"x6" (10x15cm) up to 27” x 39.5” (70 x 100cm) and we also have a range of inexpensive aluminium frames in a range of poster sizes. Bring your prints, artwork or whatever you want to frame and let us help you choose the right frame. 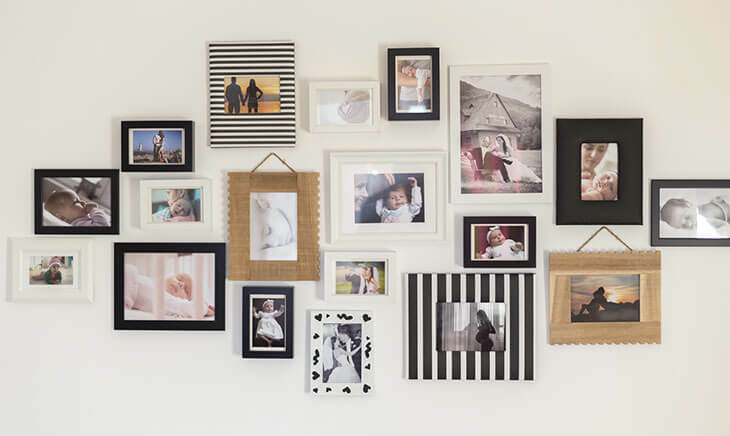 Our new online service allows you to choose a frame from our exclusive range, upload your photograph and we’ll print and present the image in your chosen frame. This is a great gift idea, perfect for any Shetland ex-pats who want to give a friend or family member in Shetland a present which they will treasure. As well as frames, we have a large selection of exclusive albums from inexpensive pocket albums to our large high quailty self-adhesive and traditional albums. We also stock scrapbook style albums plus photo corners and mounting squares. If you would prefer to create a stunning photobook, you can create one in-store using our Kodak Kiosks or online.